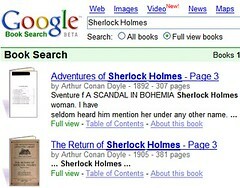 Now you can download old books from Googles in PDF format. Google has scanned every single page, including the empty ones of old books, then they have inserted these images in PDF files. 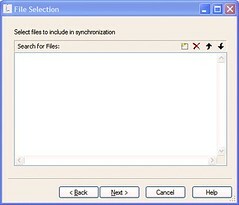 The result are huge files where is impossible to do a search for a word or sentence; you can't look in a PDF for a word that's part of an image. They should have converted each scanned image into text and then create with that text much smaller PDF files with full search capability. What a waste of HDD space and resources! 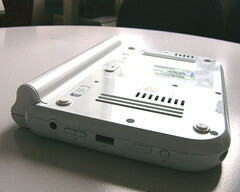 TabletPC Corner has published a review of the Founder AKA as TabletKiosk i7200 Serie. One of the thing I like is that they installed Vista in this device without any problem reported. Something that is impossible in eo v7110 due to the BAD DRIVERS PROVIDED BY AMTEK (Remember this name AMTEK - This is the OEM you need to avoid in the future). Another thing that I liked was the way this person mounted the UMPC in his car. I wonder how he did it. Any ideas? Note: in current 7110 devices, the WiFi driver does not work in Vista. I know that AmTek does not have anything to do with this driver but they designed these units and they should be working trying to make these devices Vista compatible. Upon review with the Amtek engineering team and the VIA engineering team we have been informed that enabling this function will have negative impact on the overall performance of the system, and this is why it has been disabled at this time. What do you think guys? Right now I see how to have the brightness pre set to 50% on battery diminish the battery life a lot. If that option is enabled and an user increase brightness to more than 50% when the unit is on battery he will notice how the battery life will be less than what he had normally and will decrease the brightness to a level where he can get the best/longer battery life. That's for sure. Right now any user can do that - increase brightness when the eo is running on battery - using the Amtek menu so why that option from the TabletPC and Pen settings can not be activated? It does not make any sense to me. One of the best web free services for bloggers is Flickr, a Web site that allows users to host for free pictures. I found today a blog with a list of tools that can be used to make your life easier with Flickr. A quick update. Right now I'm practically in the eye of Tropical Storm Ernesto. Thanks God, it's too week and it did not rain the 10" inches predicted. We got very lucky this time because if this one had would became a hurricane category I like it was predicted it would had hit us right in the middle. So once again... Thanks God and all of you that have wished me the best. 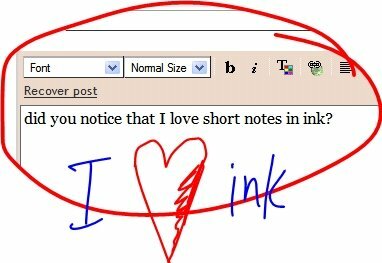 did you notice that I love short notes in ink? Oops! 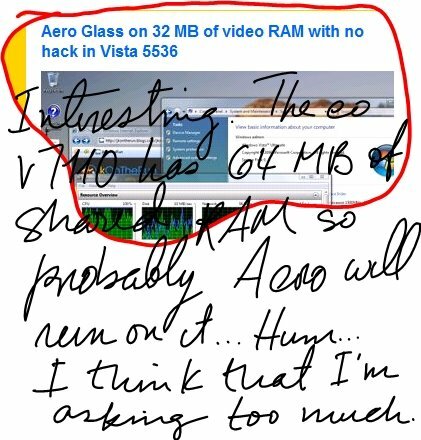 I said 64 MB of RAM and it should be video RAM! If you live in Florida, especially South Florida you have a few hours to prepare yourself and your property for the Tropical Storm Ernesto. At this moment it's unsure if Ernesto will land as Tropical Storm or as a Category I Hurricane. The last year I was hit by 2 hurricanes, the last one was Wilma. She left me 2 weeks without electricity. Two weeks in a forced vacation because the company that I work for suffered roof damages and was without electricity too all that time. I'm not taking any chances this time and I'm a little bit better prepared. But... when you are talking about this monsters you don't know what is going to happen. Let's God be with us. 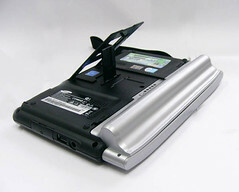 I do not have the specifications of this battery but knowing how UNIFIRM works my guess is that it should be a little bit more powerful than the extended battery soon to be sold by TabletKiosk. 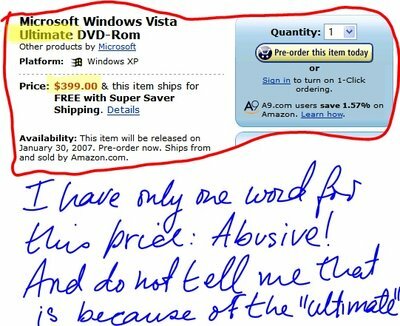 Here is another attempt to install Vista in an eo. The result, the same . Current eo WiFi driver is not compatible with Vista. Ah... I have to fill 2 plastic cans of 5 gallons each for my generator! I make it bold those points that I think are important. The whole machine is not bad but I would prefer to see a 2.5" HDD at 7200 RPM. Also, I don't know how you can get 768 MB of Memory in one socket because as far as I know you can buy 128, 256, 512 and 1 GB memory cards. 512 + 256 MB is 768, so it seems to me that this is the maximum of memory that can be reached in this machine, no 1 GB like in eo and Q1s. Combaning the memory slot and the onboard memory if the slot supports the 1 GB chip them the total is 1.25 GB of RAM but this is not what I can see from this press release. I have not found any words about when the R2H will be available in the market and what is going to be the price of them. The whole text of Asus Press Release can be found here. Here is a little video of a program created in Visual FoxPro with Ink Support. I added ink support to the search screen of this database program created in VFP testing the possibilities of creating this kind of programs (databases) with ink support. As you can see VFP supports ink! Wow! Microsoft when you will learn to release tools fully developed! You can find more screen shots of this tool here. 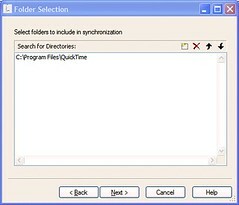 A beta trial of this tool that will run until November 2006 is available. It seems that Ed at Edholloway.com is about to release a Second Beta of his Ink Blog Pluging, an add-in for Windows Life Writer. 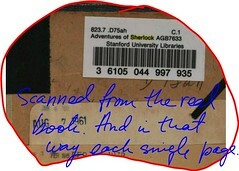 The above picture was posted at his page and later deleted by unknown to me reasons. So stay tunned! I was talking to Steve from Carrypad.com about new Samsung Q1b and we both are agree that if anyone could make the VIA processor to work in the way that VIA claims they can, that's Samsung. So if VIA processors are that good like VIA always claims in it's web page "propaganda" we should see in the coming soon Q1b a battery life that should be very close to 3 hours or more. After the AmTek/VIA fiasco it seems to me that would be very stupid from VIA not to do the best they can to get the VIA processor installed in a Samsung working as they should. After all, Samsung is not Amtek. iHangMan is a version of the classic pen game of Hangman designed to be used in Tablet PCs and Origamis. The first reader to post here his email and what are the 3 words included in the trial version of the game will receive a free copy of this game. 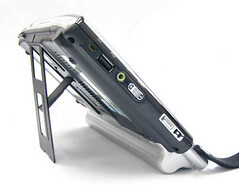 I found this so called eo Universal Mounting Plate at TabletKiosk. 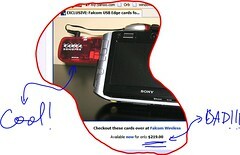 This picture is the whole information about this "thing" that you can find at TabletKiosk. I don't know, but I think that more info is needed about this thing. How this thing will be used attached to an eo? What else do you have to buy with this thing? 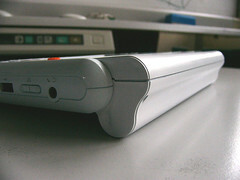 I got today the first pictures of the Mugen Power Battery for the Q1. 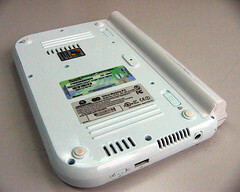 I'm posting these pictures but still pending a more detailed information about the specifications of this battery. So enjoy the pictures! The fact that I got these pictures today could be taken as an indication that they are close to release these batteries to the market. But I'm just speculating, nothing is confirmed yet. 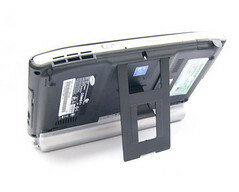 Update: according to some last minute info that I got, this battery is 3 times stronger than the original Q1 Battery. Ultra Mobile Geek has published about an USB Keyboard that's about the perfect size of our co, and cost 75% less than what Samsung is asking for its Keyboard. Mobility Today is reporting about USB adaptors that provide GPRS or EDGE connectivity. That's a wonderful accessory to have connected to an UMPC... but... with that price forget it. I'll keep using my BT Phone. 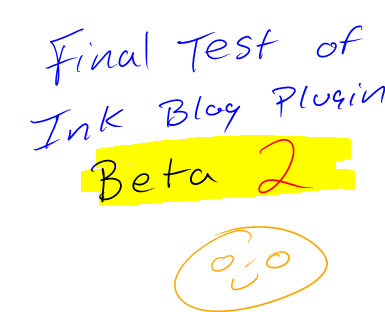 I used for this post Ink Blog Beta 1! I wanted to drop you a note to let you know that we just updated the drivers online.Our internal testing here is showing marked improvements in the wireless signal. 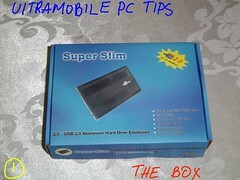 The new WiFi drivers can be downloaded here. 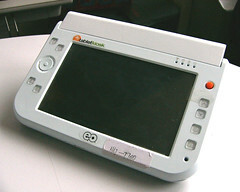 Rob Bushway at GottabeMobile.com is reporting about a new add-in for Windows Live Writer that has been just released: Ink Blog by Ed Holloway. Update: I want to add a little extra note here in this post to Microsoft. 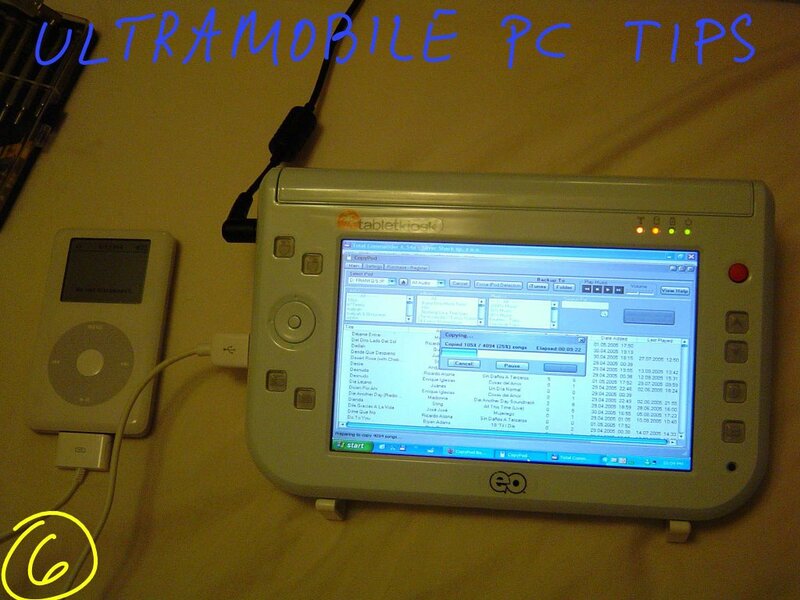 Yesterday was released Windows Live Writer (or at least we (tabletpc and umpc community) found out about it) and less than 24 later somebody had already an add-in to add ink support to this tool. These are the kind of things that sometime make me believe that Microsoft are a bunch of teams working separately in projects and that these teams do not talk to each other about what they are doing and what they are about to release. 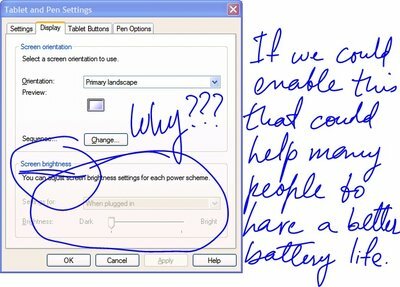 How many times I have seen that Microsoft release something without Ink Support or with a very poor implementation of it? This is an example. They have released A WRITER without ink support. Can anyone believe that?! Things have to change at Microsoft if they want to stay in Business. I'm talking here about a freeware. But... I can't comprehend why if I pay almost 90 dollars for Outlook, a tool to handle my email, I have to pay 40 dollars for an Add-In to handle the SPAM. Come On! If you are designing an email tool you should know that spam exist and you should prepare this tool to efficiently deal with this situation. I'm using Outlook 2007 and the Spam filter works but never at the level that I used to in Thunderbird (a free tool BTW!). To reach that level I had to install an Add-in to Outlook. 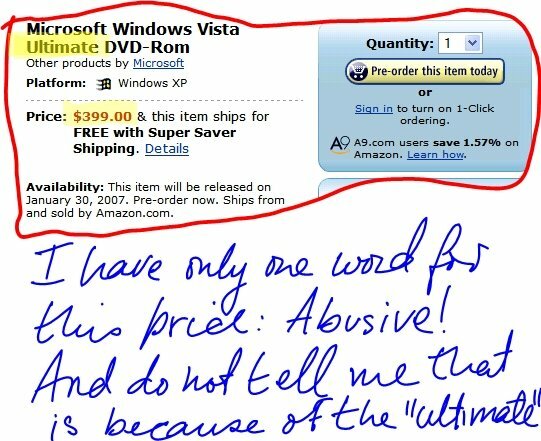 I'm a developer and I know that thanks to these problems of Microsoft many of us make money, including me. But come on Microsoft, is not time to do things right from the beginning? Is that hard to share with other teams what your team is doing? I tested Windows Live Writer in my eo Yesterday and it works but I can tell you right now that it was designed no having in mind UMPCs at all. 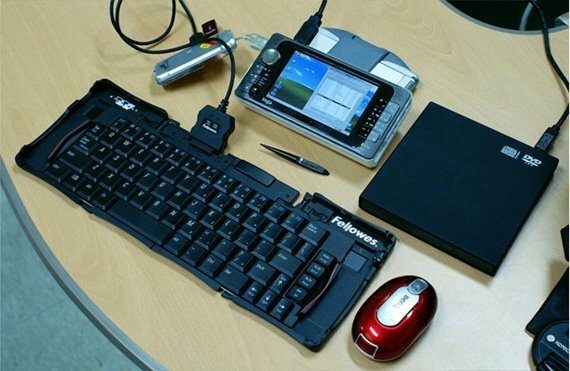 This toguether with the absence of ink support tells me that this tool was released without having the UMPC/TabletPC team know anything about it. 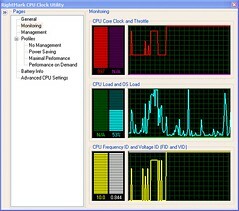 Jeff our French reader, found a tool that seems to me more power full than Notebook Hardware Control: RightMark CPU Clock. 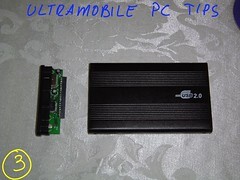 This tool allows user to select what is going to be the higher CPU speed available when the unit runs on Battery, that along could save some battery life. 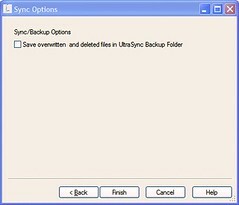 Here are some screen shots of Ultrasync, a new tool that will be released soon and that will help users to keep Outlook synchronized in our companion PCs. I still testing this program. I can see a lot of potential in this tool but still a lot to be done and unfortunately XP is not what could be called user friendly after the release of SP2 and its firewall. 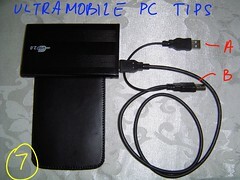 Rob Bushway at Gottabemobile.com was reporting about a very good article with 10 tips to follow to get the most you can from your battery life. The author of the article is a really very heavy mobile user, well, if you work for SlingMedia I believe that have to be "mobile" if you want to sell the SlingBox. Do not you think? 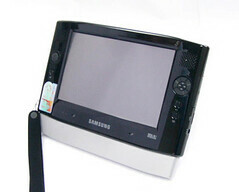 MVP WNewquay has created a new site: TabletWiki. Mission: To give users of personal computing technologies a place to collaboratively build knowledge about those technologies. Wow! This is a wonderful idea. 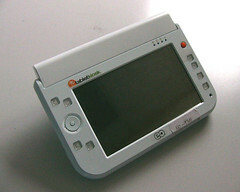 If this project goes in the same way than Wikipedia, soon we will have a huge source of information about TabletPCs and UMPCs. This is one of the tools that many Origami owners have been asking for. 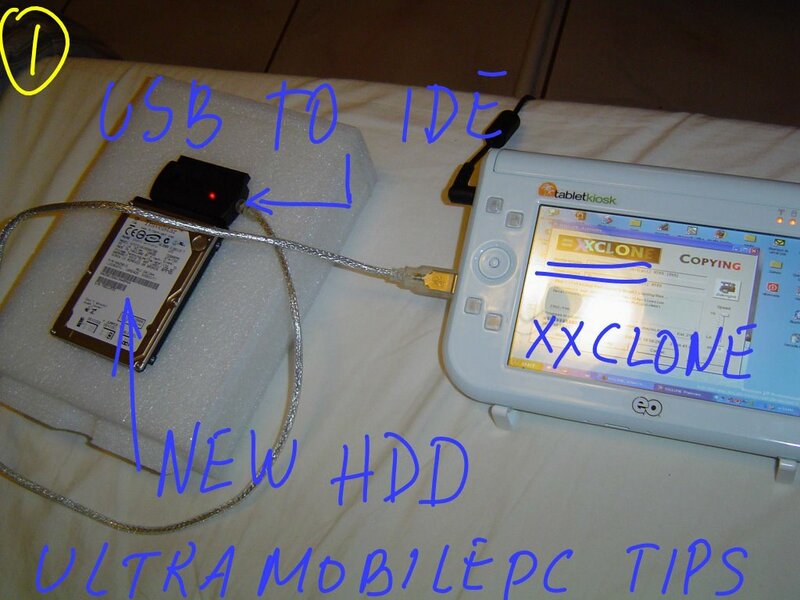 Sometime ago I wrote about how I upgraded my eo 40 Gb HDD to 100 Gb. 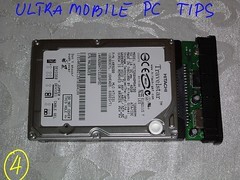 Today I gonna show what to do with the old HDD. Browsing this huge universe called Internet, I found the existence of very cheap enclosures for 2.5 inches HDD. So I bought one here. 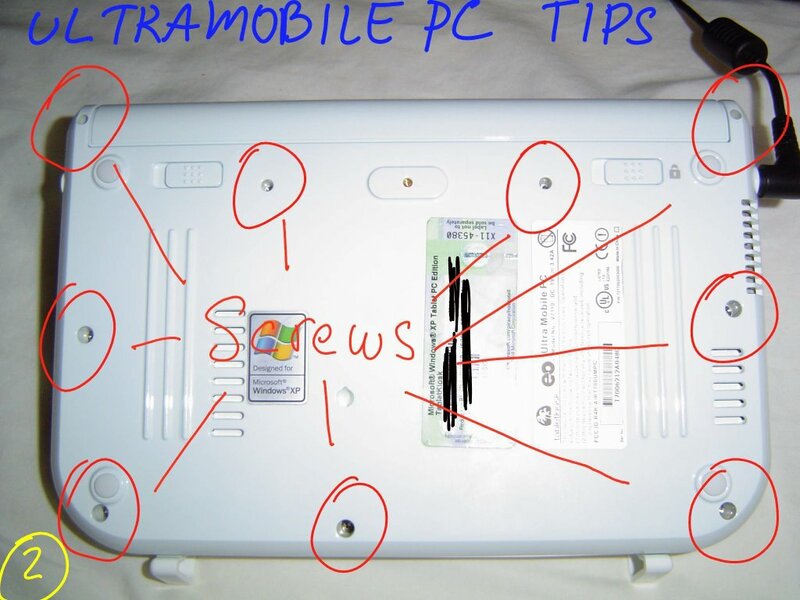 The first thing to do is to open the enclosure in the way shown in picture 3. Once you have done that you fix it using the screws, putting them in the place marked with the red circle in picture 6. 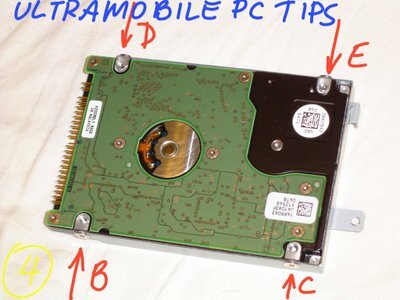 If when you connect the enclosure to your PC you hear a clicking noise that means that your PC can't give enough power to make the HDD spin. In this case you have to connect the end marked with an A in picture 7 to one USB port in your PC and the one marked with a B to a second USB Port. 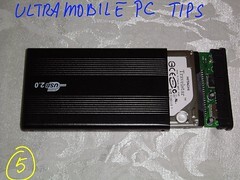 In eos V7110 one connector is enough to power this HDD. Picture 8 shows the enclosure with our 40 Gb HDD ready to go. According to my source at UNIFIRM, the Extended Battery for eo V7110 should be ready to hit the market at the end of this month - probably before than the original Amtek battery. Lets start the day with something funny to watch. Samsung has released a Second BIOS Upgrade that can be downloaded here. According to JKonTheRun site, the upgrade takes less than 5 minutes and is a very simple process done within the Windows OS environment. What this upgrade fixes nobody knows so far. 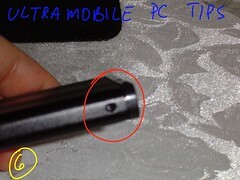 That's one of the things I like from Samsung. You can see them working all time fixing bugs, upgrading BIOS, etc... The opposite from the Amtek/VIA pair. 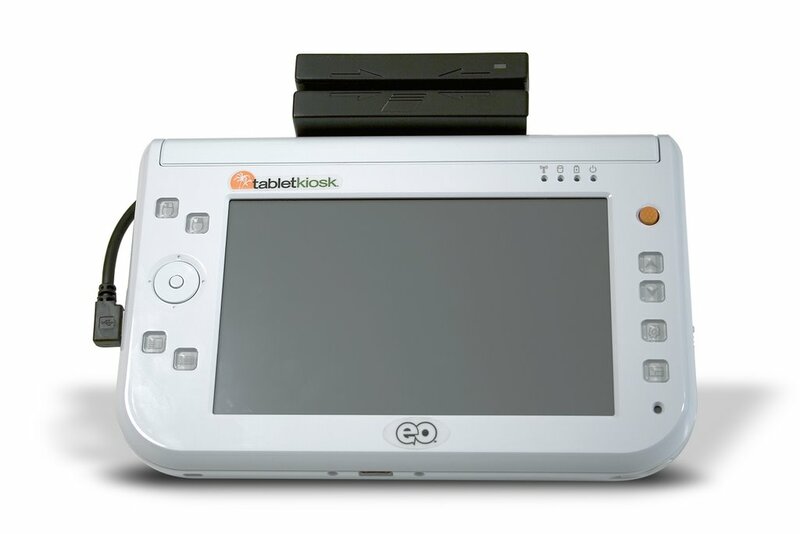 We still have the C3 State issue in eos V7110 and I don't see anything that indicates that they (TabletKiosk, Amtek and VIA) are or still working in this issue. They fixed the low battery life with a costly recall and that's it. Well, things could be a lot better if the C3 State is reached in current eos. I'm saying all this because I think that a C3 State fix probably will involve a BIOS upgrade. Trend Micro Anti Spam Pilot was selected in the latest issue of Consumer Reports Magazine the best add-on within all the Anti Spam add-ons currently in the market. 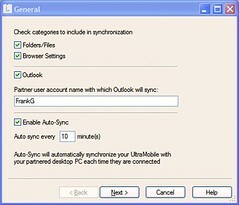 I installed in my eo where I use Outlook 2007 Beta 2 and it works perfectly! 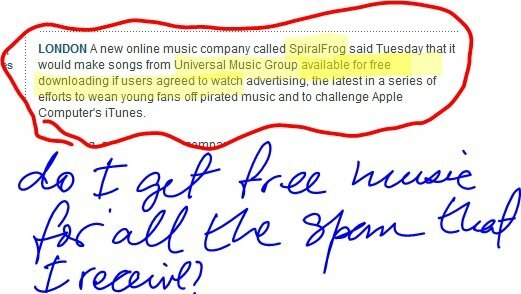 And the best of all is that is FREE! So, August 18 is the new date. 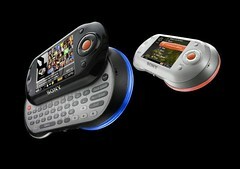 Sony has released "mylo" according to this article published in Yahoo Actualités. 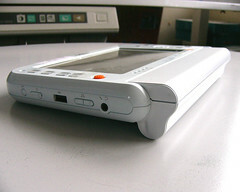 With a 2.4 inches display, keyboard! and WiFi connectivity this device could be the competion for the Nokia 700. According to Sony the battery life on this device could reach up to 7 hours browsing the web, 3 hours chatting using Skype and up to 45 hours! playing music. 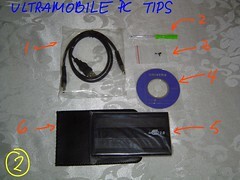 Thanks for the tip Jeff "from France"
Slingbox is currently available at Amazon for just 156 dollars. 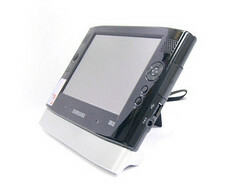 Take your TV everywhere in your UMPC. Unfortunately, in the POS/Wedge Readers page I could not find any mention of this item. 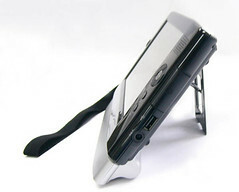 I have to confess that the first thing that came to my mind when I saw this picture was the image of a Pizza Delivery Guy charging my Credit Card using an eo with this accessory. What do you think? 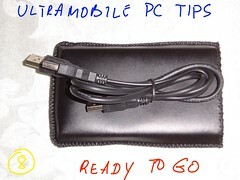 Carrypad has just published more pictures and details about Vega UMPC. 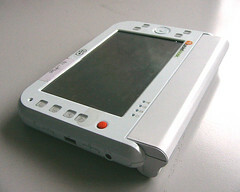 Apparently, this UMPC will not have WiFi integrated. 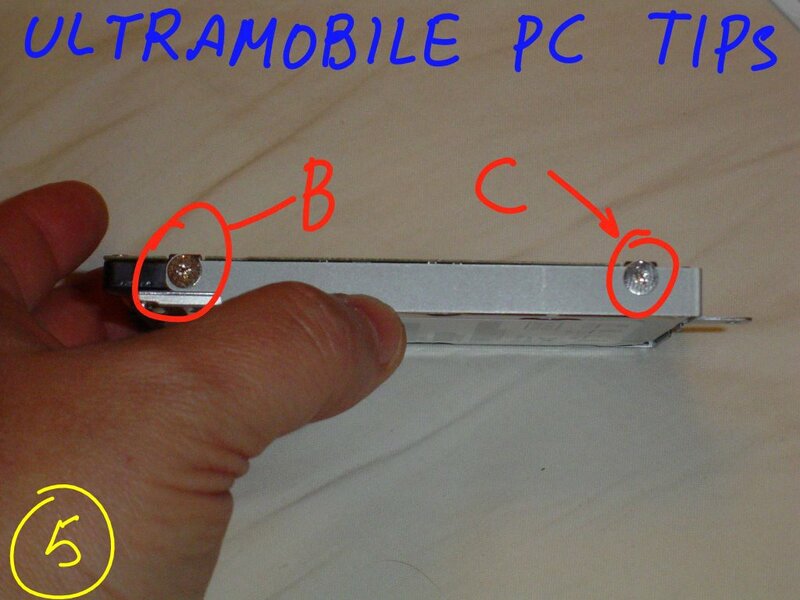 It seems to me that sometime OEMs forget what the word "Mobility" means in nowadays. Origami Project has published all pictures that won the photo contest: You and your (Virtual) UMPC. But it's my guess that the use of photoshop was one of the point that Microsoft checked and this one won the second place because of that. The complete list of all pictures can be found here. 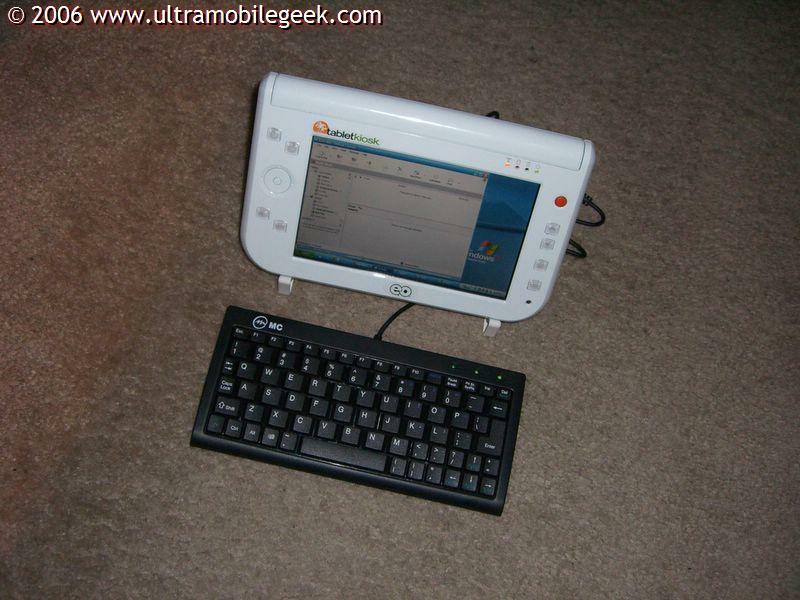 If you still looking for a case for your eo then you should look what Ultra Mobile Geek found at Fry's Electronics. Ultra Mobile Geek recently got an eo and it's one of those full of interesting published and coming soon stuff that I recommend to add to your feed reader.